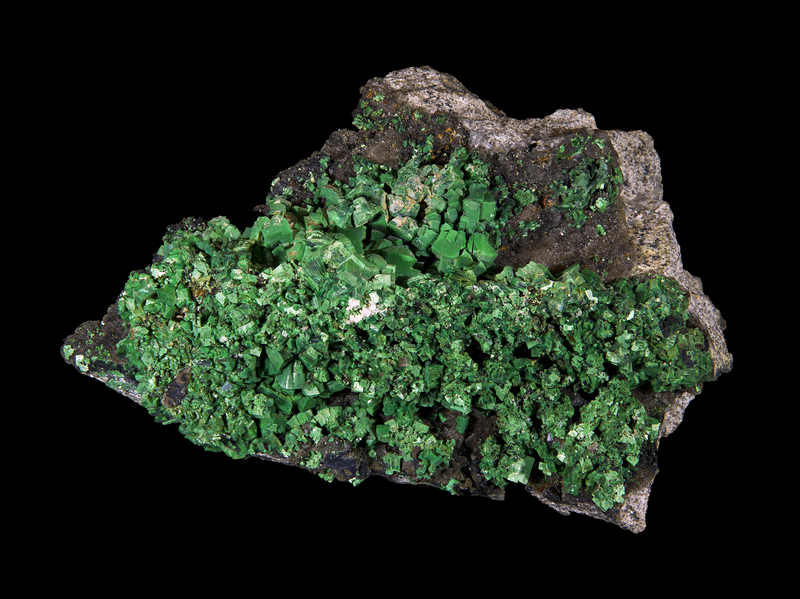 Iralite is the Forgotten Realms term given to a radioactive uranium ore that we (IRL) would call Torbernite. 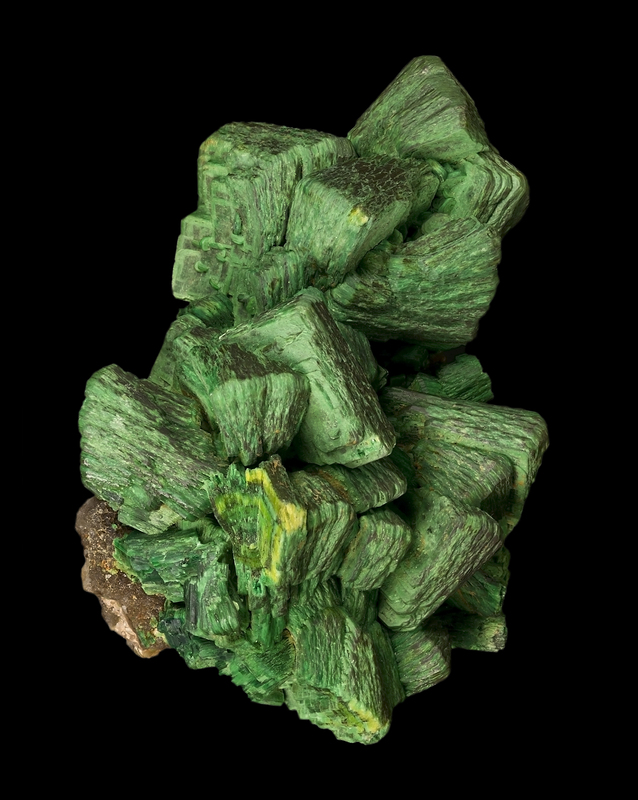 A copper based ore, Iralite is a very green coloured ore that is oddly reactive to magical influences. Most all radioactive elements find their radioactive qualities nullified by the resident magical influence of Torril, but Iralite is different in that it seems to absorb and react to magical influences. It also makes a refreshing drink. 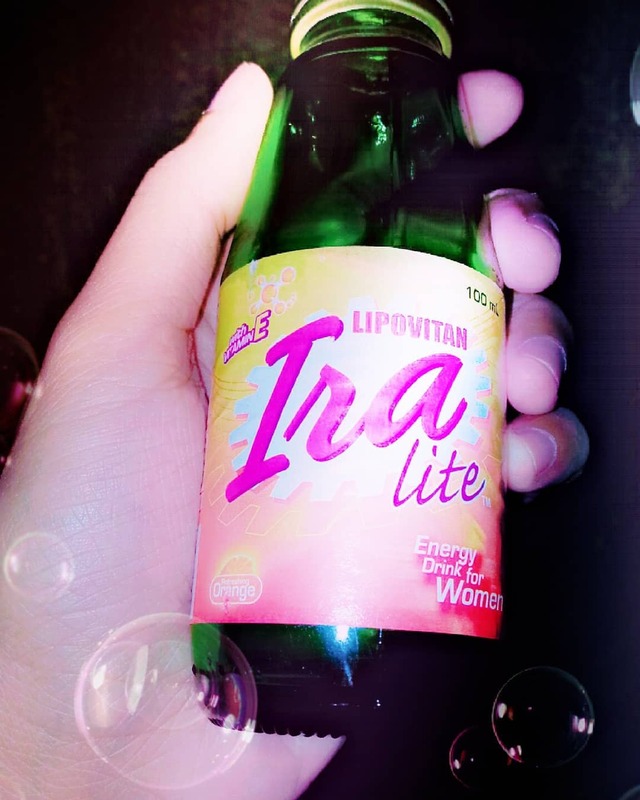 Iralite develops from high heat and pressure as well as high alkalidity (acidic) environments. The deposits can grow from a few millimetres to a few centimetres typically. There have been discoveries of larger veins, and occasionally chunky deposits. Iralite does emit gas as most radioactive material. Experiments have demonstrated that Iralite gassing is variable based on absorption of ethereal energies. As with the ore itself, the ethereum of Torril nullifies poisonous effects upon humanoid, although it may cause magical effects to go awry (dungeon masters should have fun with it, or simply roll on the wild magic table when spells are cast in an appropriate environment). Refined Iralite, or 'dried' Iralite, dulls in colour, and is more absorpent however much more brittle and prone to explosion. It is a fine battery for magical energies, if kept in a protective container.